Simple high-precision SIM card cutting... Don't want to cut your SIM cards yourself? Now you can let our new CUTTER do the work. The all in one CUTTER makes trimming the excess plastic off your SIM cards simple and easy. Simply insert your standard-sized SIM card into the cutting tool and press down, to transform your SIM into either a Micro or a Nano SIM. You can also use the tool to convert Micro SIMs into Nano SIMs. 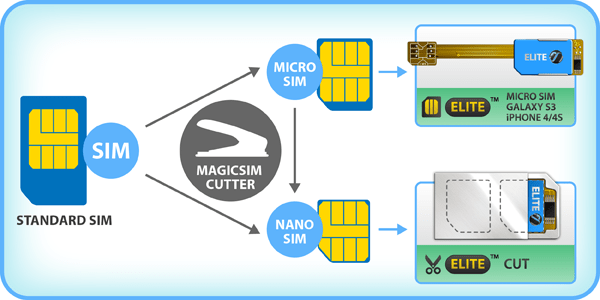 The CUTTER is designed to help you create perfect Nano SIMs and Micro SIMs to fit a range of MAGICSIM products, such as our ELITE CUT, ELITE GALAXY S3, ELITE MICRO SIM, and ELITE iPHONE 4/4S adapters. 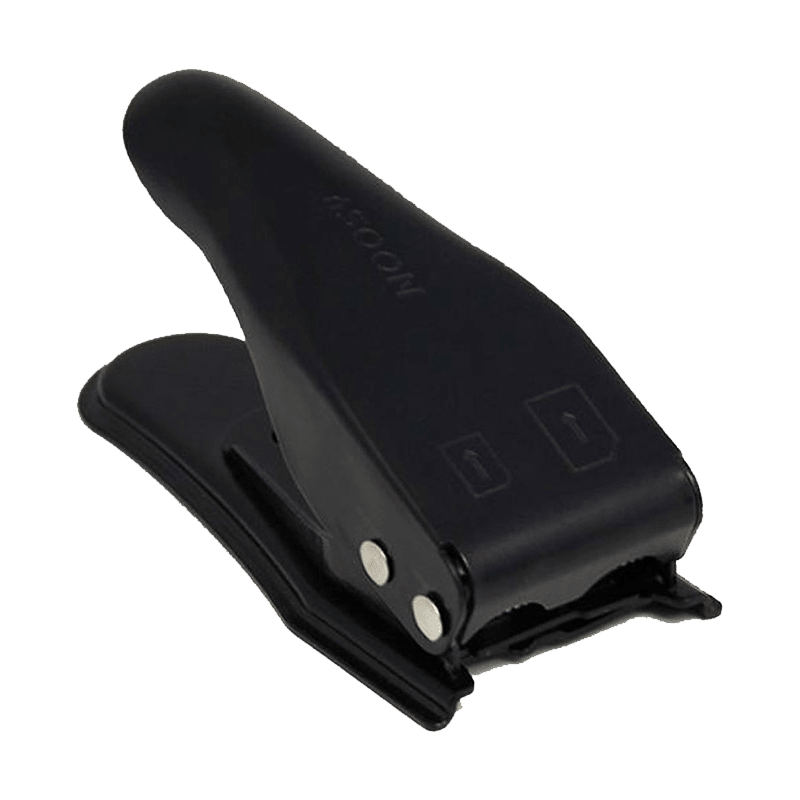 See our Special Offers section for special package deals offering the MAGICSIM CUTTER together with an adapter at a discounted price, such as our ELITE CUT + CUTTER package.